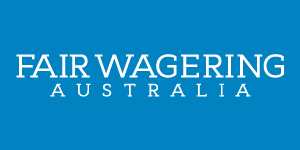 Fair Wagering has been handed an extraordinary document that lifts the lid on Australia’s biggest wagering operator’s attempts to severely restrict winning punters at TAB retail outlets. It looks as though Tabcorp recently sent the document out to agents on its 2600-strong retail network across New South Wales and Victoria. The missive appears to be an attempt to placate agents in at least 100 TAB’s who have reported plunging commissions as a result of restrictions placed on the size of all bets, even if just one punter is winning. Tabcorp referred to “expanded risk management” in their fixed odds division at a recent mid-year presentation – we now know what it means for punters, and it ain’t pretty. Tabcorp have officially joined the scourge that has become rife within the Australian corporate bookmaking community. They are no longer bookies and are simply accountants who wish to manage money (bets) from mug punters. Because all punters are “mugs” and have trouble with even basic English, we at FWA have paraphrased some of the key points in Tabcorp’s “Fixed Odds Liability Q&A” to help you to better understand corporate language. If you want to read it for yourself, here it is. Otherwise, allow us. i.e. We drove all winning punters off our website by rejecting any bets that didn’t suit us. Don’t get too excited if they roll up to your agency ready to bet big, turnover lots and help your business. As soon as one of our bookmakers (accountants) get a whiff that a winning punter is betting in a TAB agency, we’ll flick a switch and shut the agency down. No 10 second reset or phone call will help. i.e. If we have to manage all 2600, we will. The winning punters that we are trying to get rid of have thankfully only made it to 100 agencies so far. i.e. VERY IMPORTANT POINT. Only losers are “genuine customers”. We don’t want winning punters getting in the way of our profits. If you spot a winning punter (non-genuine customer) in your agency, stay calm; alert us, we’re here to help. i.e. If it’s 6pm on a Friday night and there are only two punters in your agency having $1 mystery trifectas and a winning punter (non-genuine customer) walks in wishing to bet big and hard with your turnover incentivised agency, DO NOT BET THEM. We at headquarters make a gross profit of $10 million a week off fixed odds bets. That’s not enough, we want more! Don’t worry about your own little business, that’ll sort itself out in the long term, sorta, kinda??!! We are informed that the NSW Office of Liquor, Gaming and Racing are looking into Tabcorp’s new fixed odds management procedures. We’ll forward this onto them. Tabcorp, through tab.com.au, retail outlets, Luxbet and Sky Racing are the undisputed driver of the racing industry. They need to, and are entitled to be profitable. But who is betting to lose? We all need to at least know that one day maybe we can be winners. If this new style of management becomes the norm, we will all only ever be losers. Tabcorp can take us for granted at its own peril. Please Note: The author of this article has absolutely no association with Sydney rails bookmaker David Dwyer.